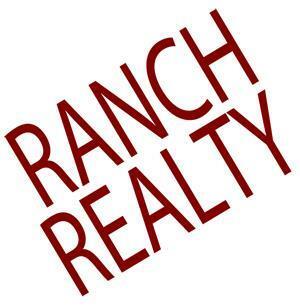 Ranch Realty is a family owned Full Service Real Estate & Property Management Company, doing business in the greater Scottsdale, Arizona area since 1974. Ranch Realty offers Residential Real Estate Sales, Leasing and Property Management Services for properties in and around Scottsdale (85260/85258), Phoenix, Paradise Valley, Tempe, Cave Creek and Carefree Arizona. Ranch Realty agents work with residential real estate owners and investors, as well as owners of furnished vacation rentals. Our management team has over 40 years of experience, and our Property Managers are licensed Arizona real estate agents. Ranch Realty specializes in internet and print marketing of vacancies, tenant screening, credit and background checks, detailed move-in and move-out inspections, property maintenance and repair. Ranch Realty provides superior Residential Property Management Services to owners and investors, helping them achieve their investment property goals,while providing renters with the best possible choices in housing. With 40 years of Residential Property Management experience, Ranch Realty will manage your single family home, condominium or townhouse with the expertise and professionalism you deserve. ✓ 24/7 Maintenance and Emergency Services! ✓ Eviction & Possession Services! Sales, Leasing, Rentals & Full Service Property Management! 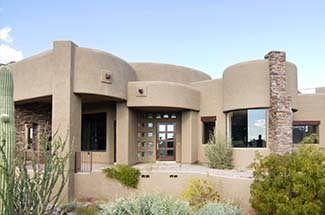 Scottsdale, Arizona Real Estate Experts. Residential Home Sales, Leasing & Full Service Property Management Since 1974! Call 480-991-4000 To Speak With a Sales or Rental Agent Today! Your professionals in Sales, Leasing and Full Service Property Management Since 1974. Specializing in residential home sales, property management & leasing. Furnished & unfurnished homes, town houses & condominiums for rent. We are your Scottsdale & Phoenix, "Valley of the Sun" real estate experts! As the Phoenix and Scottsdale real estate markets becomes more sophisticated and challenging, you need real estate professionals who understand the changing markets, property values and effective internet marketing. Ranch Realty takes full advantage of the "world wide web" to market our clients' properties Nationwide and around the World! Unfurnished & Fully Furnished luxury vacation homes for rent. Rentals available year round on long or short term lease agreements, corporate housing & rentals near - close to The Mayo Clinic, Downtown Scottsdale & Tempe, Arizona State University, Scottsdale Community College, Shea Blvd, Hayden Road, Scottsdale Road, ASU, Fashion Square Mall, McCormick & Gainey Ranch, Sky Harbor Airport, the 101 & 202 Freeways and the future (2015) OdySea of The Desert Aquarium! Vacation homes & relocation assistance available. 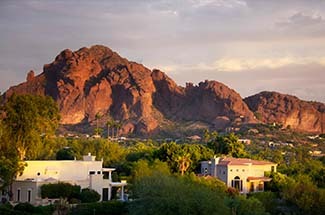 Visit sunny Scottsdale, Arizona! With our experience in local real estate and our focus on individual customer service, Ranch Realty will strive to make your next real estate transaction a pleasant & profitable experience. Searching for resale homes, new homes, condos, luxury homes, townhouses, rental properties, furnished vacation rentals or investment property in the Scottsdale AZ area made simple! Buying a home in the 85260 zip code? Make your home search easier by becoming a VIP Buyer. Receive immediate information of ALL new listings that match your criteria emailed to you. Click on "VIP Buyer's Program" now! As always, if you have any questions about the Scottsdale area real estate market, or finding that perfect home here in Scottsdale AZ please let us know! SELLING A Scottsdale AZ HOME? If you're thinking of selling your home, condominium or townhouse in Scottsdale Arizona, the first thing you need to determine is "How much is our home worth?" Being educated on market trends in Scottsdale Arizona gives you the best chances of selling your home quickly and for the best price possible. Click on "Free Market Analysis" to request a free (C.M.A.) Comparative Market Analysis of your Scottsdale home. Remember, Ranch Realty agents always take advantage of the latest technologies to make sure your property has a strong presence on the Internet. When someone is looking for real estate in Scottsdale AZ(85260), or a Realtor in the Scottsdale AZ(85260) area, they have a much higher chance of finding our site, and YOUR listing. Contact us today and we will be happy to give you more information about our services to sellers. NEED A Scottsdale AZ HOME LOAN? Finding the right financial solution for your real estate transaction can be difficult and confusing. It's important for you to know that facts about your mortgage before you buy a house. Making sure that you know how much you can afford and the best rates for your purchase can you save you more than money, it can save you time and frustration! Read the "Articles" on this site to learn more. Make sure you click on "Pre-Qualify Now" to take the first step to financing your home purchase. Thank you for visiting http://www.ranchrealty.com - your Scottsdale Arizona Real Estate Information Source! We strive to provide the highest quality of service to all our clients while making each transaction as profitable, professional, successful and stress-free as possible. We understand the importance of professional ethics, integrity and continued education. Call or email us today for information on your next Scottsdale AZ (85260 & 85260) real estate transaction.